O.S. 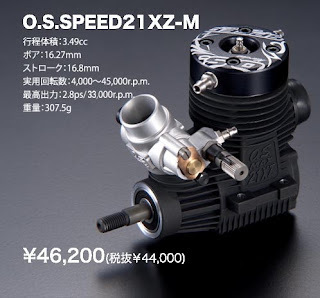 has just released information about their new SPEED Tuned version of the 21 XZ-M marine motor! 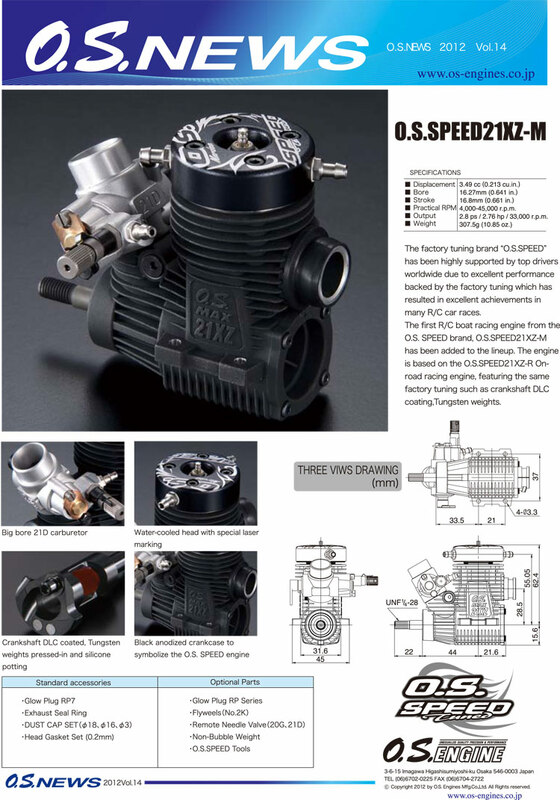 Water-cooled engine for the boat's first factory tuning brand "OSSPEED"
Leave KOs excellent in the world of car racing for many, has received strong support from the top drivers of the inside and outside with superior performance and tuning of sticking than OSSPEED brand "OSSPEED21XZ-M" has been added to the lineup. 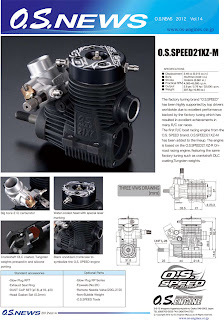 To concentrate without leaving the OSSPEED racing engine technology such as tungsten weights to optimize DLC coating of the crankshaft, the inertial mass. 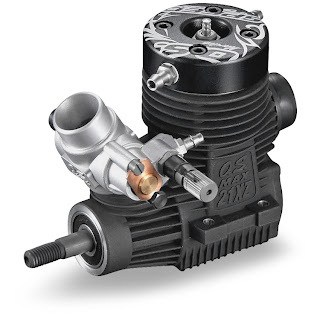 Leave KOs excellent in the world of car racing numerous, 21D carburetor tuning and better than Good. 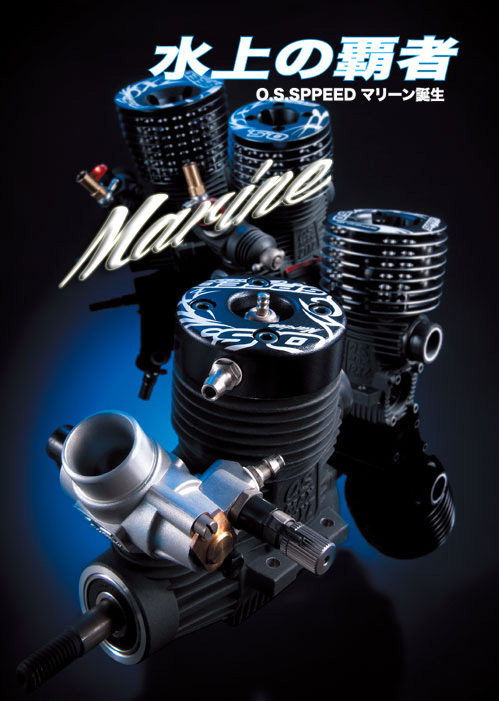 We have achieved a stable power and throttle response essential for marine boat racing carburetor adoption 21D large caliber. 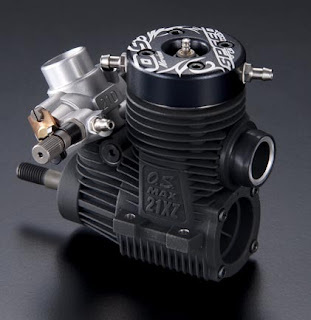 Input laser marking, water-cooled head. Black anodized aluminum with a private water-cooled head. 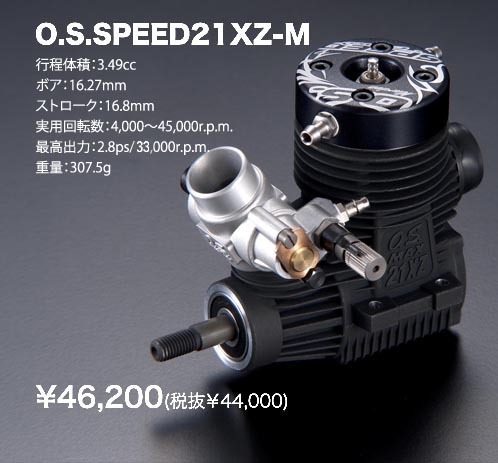 I was decorated with the logo laser marking OSSPEED. 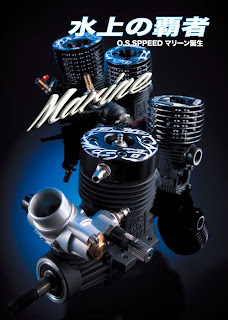 Marine engine techniques adopted for the first time also the most prestigious Chungu OSSPEED tuning such as embedded counterweight DLC coating, tungsten. I have also incorporated the latest processing methods also reduce the inhalation resistance. Adopted crankcase treatment is a testament of the virile black anodized OSSPEED.